Turuiemon yells out "Buster Dive!" as they attack an Insekimon. January 15th, 2016. 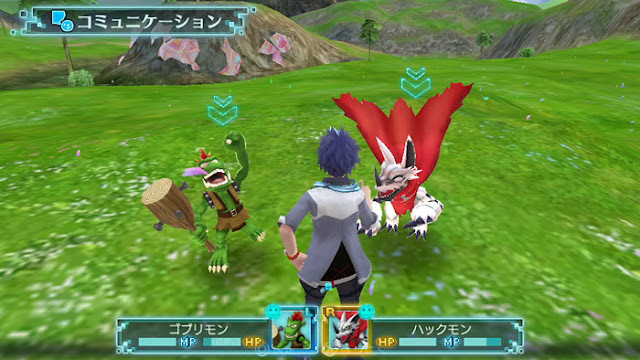 The Digimon World -next 0rder- title site updated today with a new batch of screenshots. This latest batch shows protagonists Shiki and Takuto respectively scolding and praising their Digimon after battles, features that were previously leaked by first-hand accounts of early gameplay tests at Jump Festa 2016. Praising and scolding Digimon in the World series normally adjusts their Happiness and Discipline, which impacts their evolution conditions and the ways in which they execute their tamer's orders. 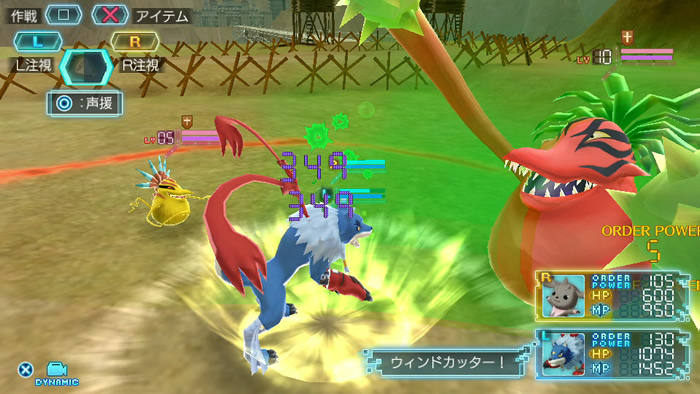 The battle screens also show the classic techniques Buster Dive and Wind Cutter in use, spelled out by the Digimon using them. 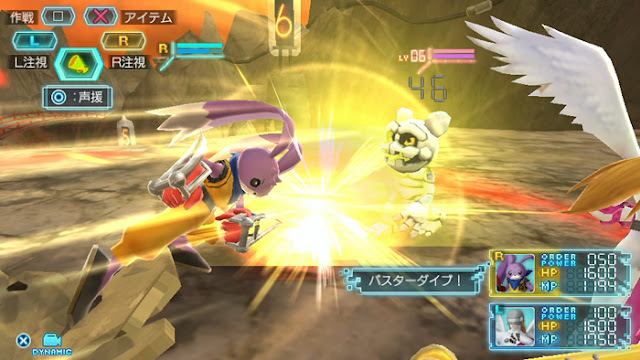 The previous batch of sreenshots showed off several major Digimon, including Mastemon and Susanoomon. Shiki scolds Gomamon & Hagurumon. 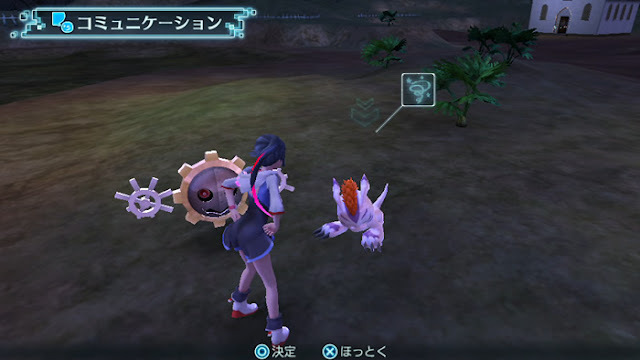 Gaogamon uses Wind Cutter against a Red Vegiemon, scoring 0rder Points. Takuto praises Goblimon & Hackmon. So the discipline system is also linked from what it looks like. Same with the feeding and bathroom system. Interesting, I wonder what made them do it like that. It's good to see though that your Digimon won't have to be linked by level looking at Gaogamon and Lopmon. And the addition of Redveggimon is cool! Fingers crossed for Airdramon, and Chaosmon. Hopefully we'll see some newer Digimon like Commandramon, and Valkyrimon.